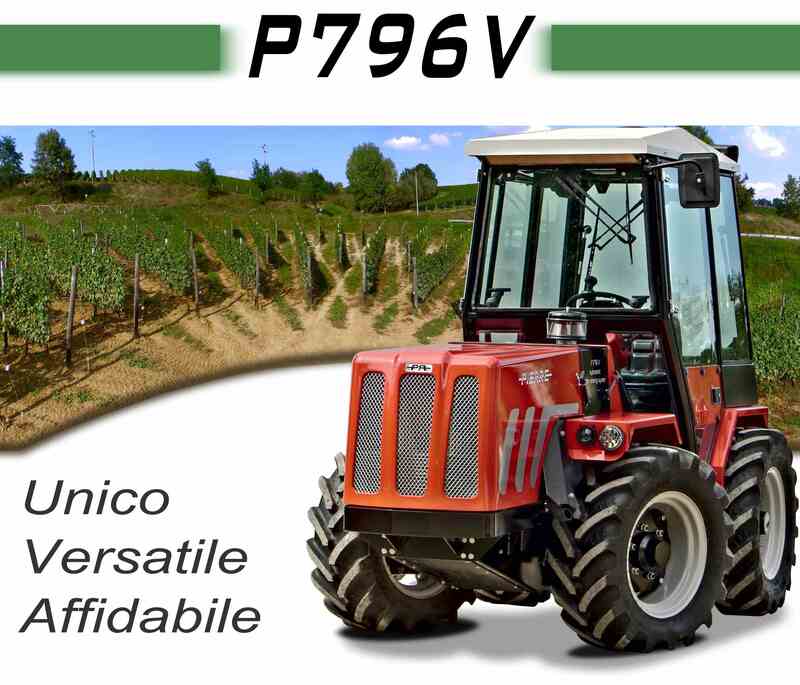 In response to requests from our clients and challanges met nowdays in agriculture we have developed a new remotelly controlled version of our tractor - P796 evo RC. We were able to develop the P796 evo RC thanks to the experience gained while working on the Locostra - a remotelly controlled tractor for humanitarian demining activities. 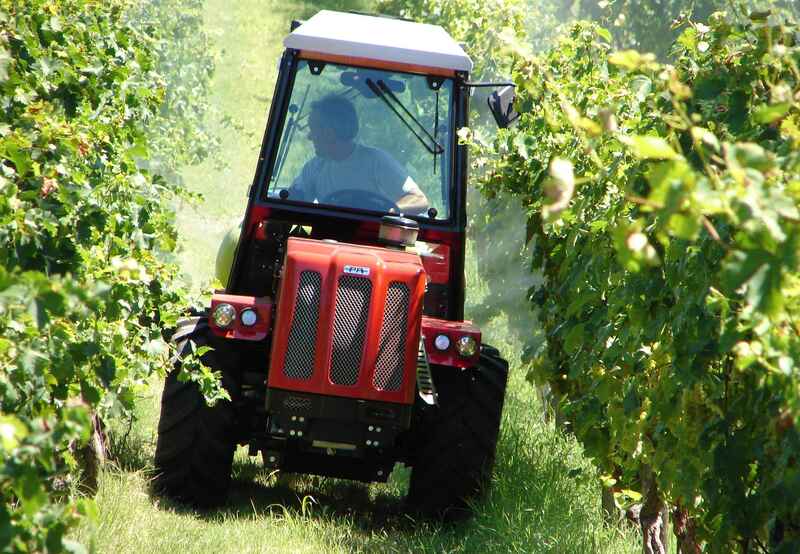 The main advantage of the RC version is that it can be used safely in places where having operator on board would be dangerous (steep slopes) or unhealthy (during spraying). 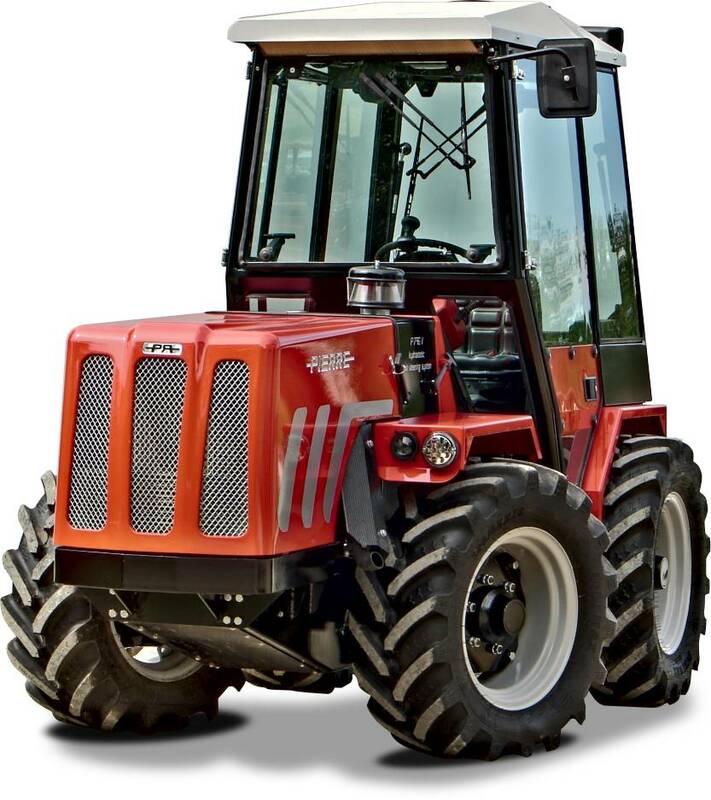 The RC version is based on the P796V evo standard tractor and features a standard on-board driver station - which means that it can be driven both on-board as well as via remote controller. 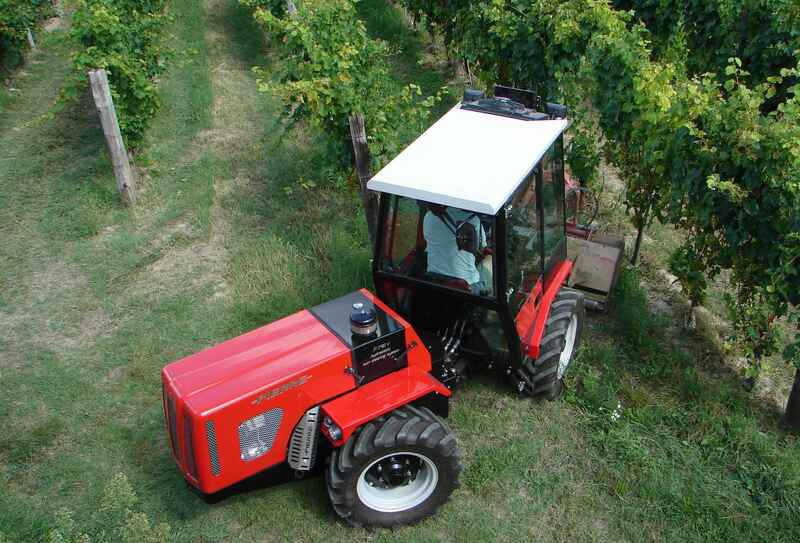 In the case of tractor equipped with orchard platform, the remote control allows the operator to control the tractor directly from the platform attached to the tractor. 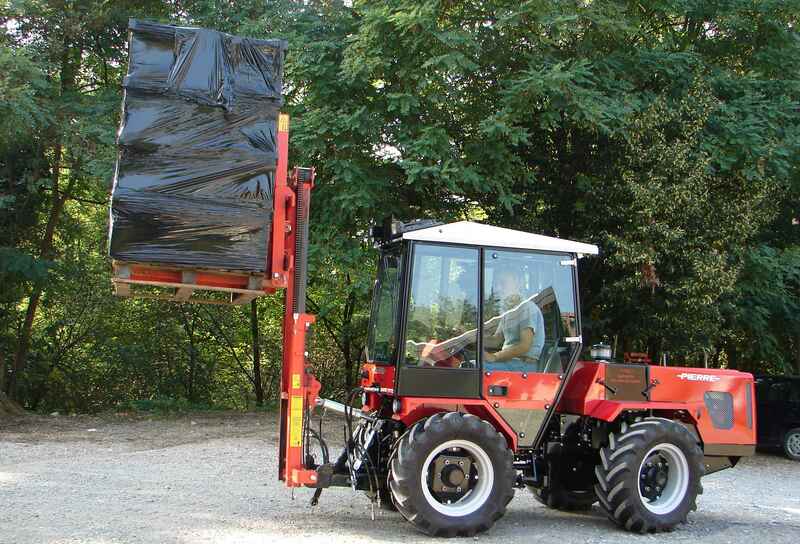 Platforms designed to be operated (lifted or lowered) from the cabin of the tractor using hydraulic oil distributors can be safely operated via the remote control, using the transmitter from the board of the platform (the remote control system conforms to ISO 13849-1 Pl:e and ISO 62061SIL 3 for the E-STOP safety function and Pl:d category 3 and/or SIL 2 for the steering functions). 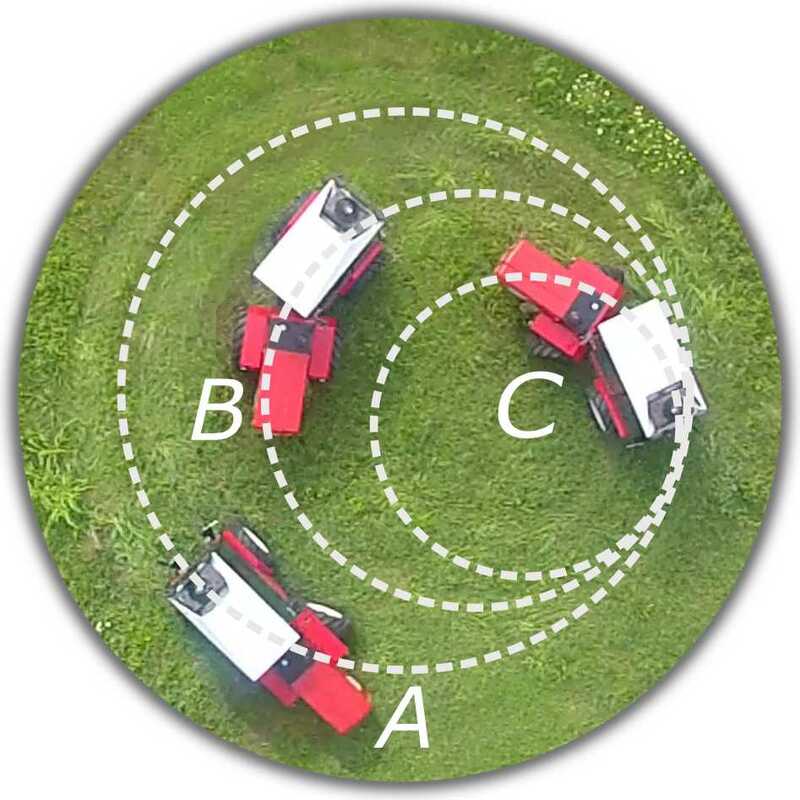 The remote controller gives the operator control over a majority of tractor functions and visualizes feedback data from the P796V evo RC tractor. 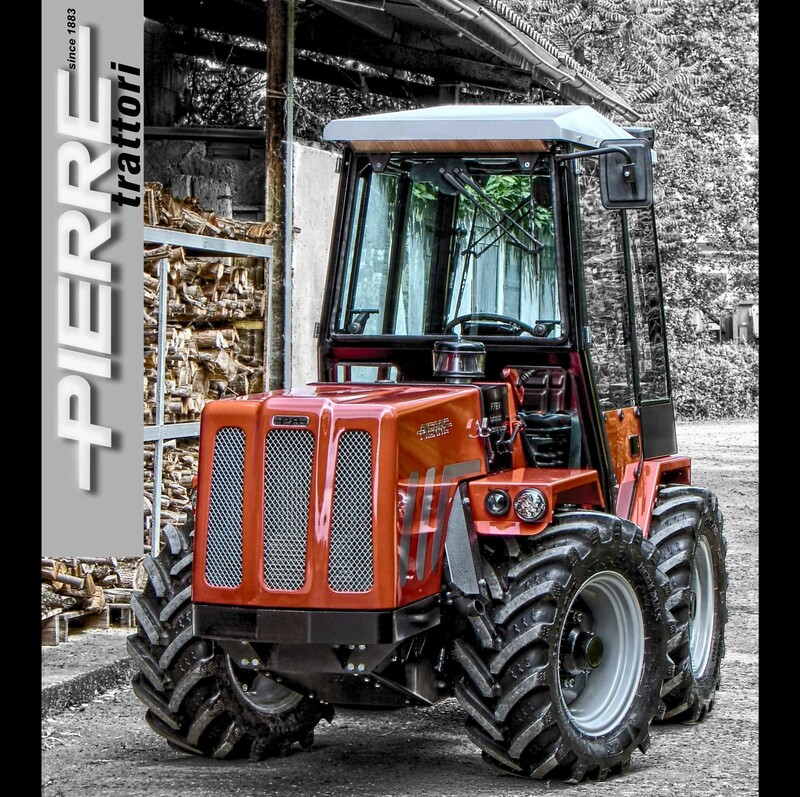 It allows to control: the tractor velocity, the range of speed, the steering, the differential gear blockage, the front and rear oil distributors, the three point linkage lift, the PTO shaft. 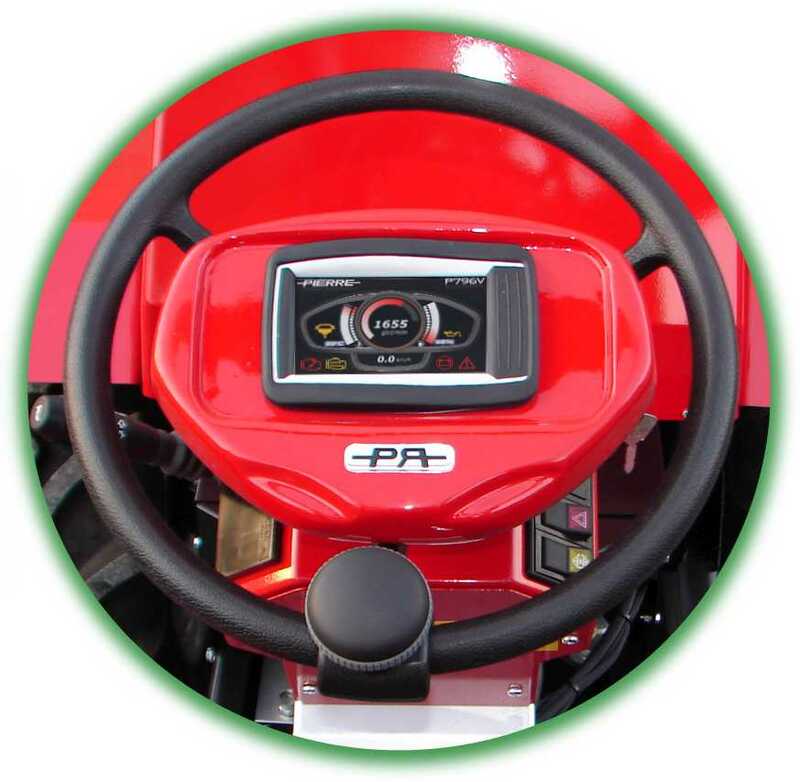 The operator can choose to take the control of each of the two steering axis independently. 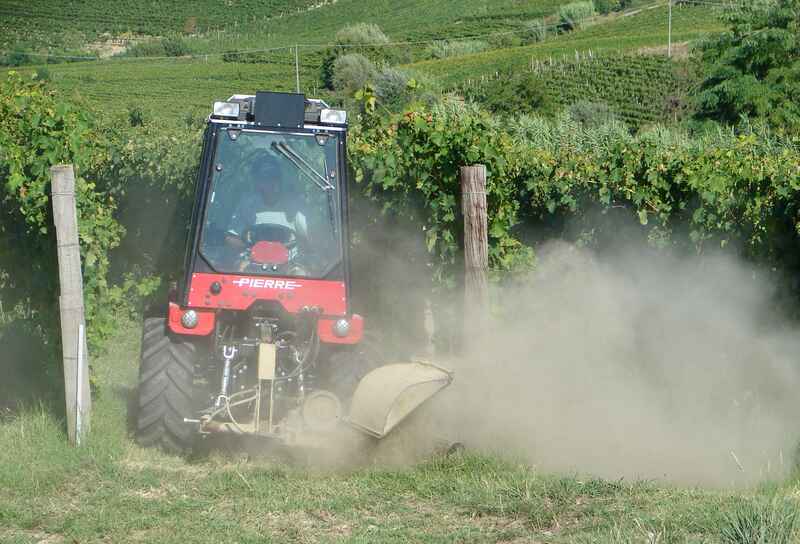 Furthermore, the transmitter allows to control the tools (implements) attached to the tractor (side-arm brushcutter and moulcher) using a set of four unidirectional proportional joysticks. The LED indicators and the display mounted on the RC transmitter provide feedback information from the the P796V evo RC tractor (e.g. active steering switching mode, engine parameters, working parameters, warnings and alarms). 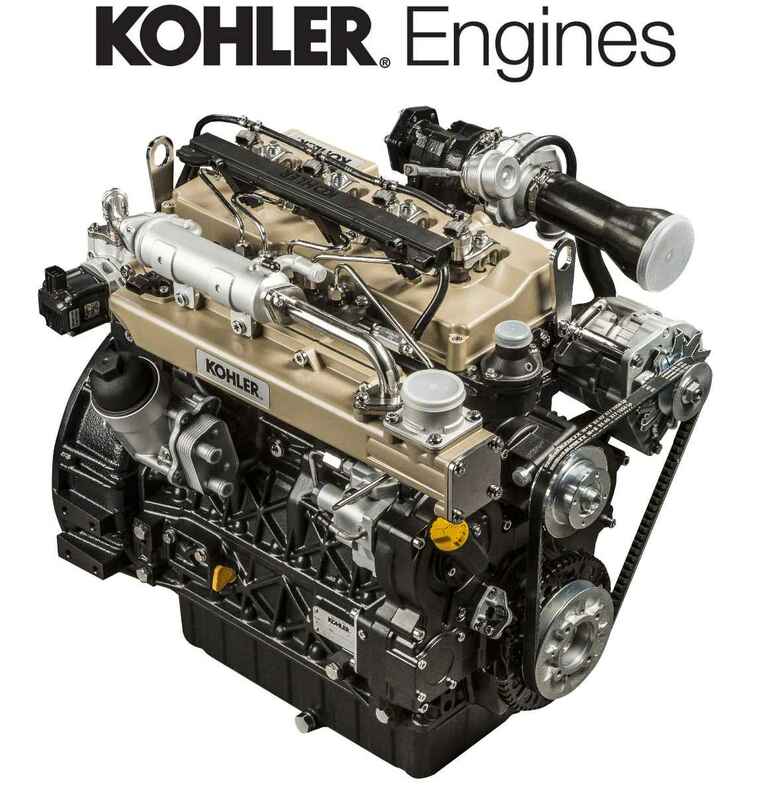 The new engine KOHLER KDI2504TCR features the most advanced common-rail system available on the market, specifically designed for extreme durability and resistance to the most severe conditions of use. The high-pressure pump, at 2000 bar, provided with the G3S solenoid injectors, allow a precisely-calibrated fuel dose during the injection process. The turbo-compressor with waste-gate valve has been specially calibrated to reduce any response delay and provide the right amount of air for an optimal supply of torque and power. The use of an intercooler, ensures the correct air inlet temperature to achieve high torque at low rotation speeds while achieving emissions compliance. The 4 valves per cylinder distribution has been designed to mount the injector in a perfectly vertical and centered position compared to the combustion chamber. This solution allows for optimizing filling, fuel atomisation and mixing of the same with the oxygen present in the combustion chamber. 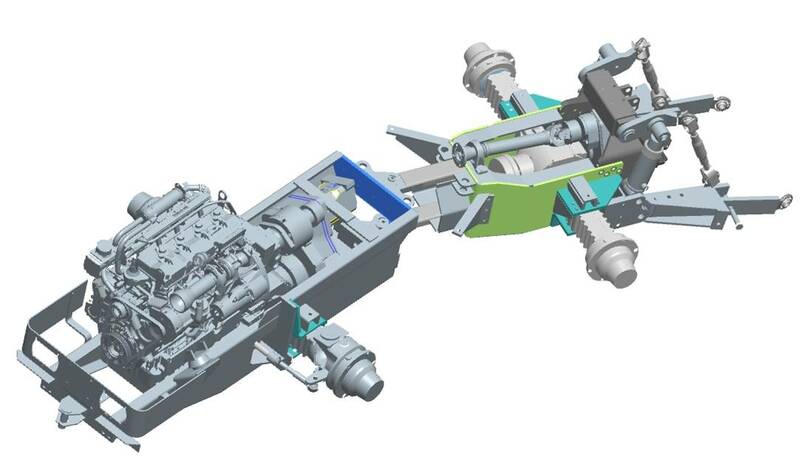 Intake manifold and combustion chamber have been developed through careful fluid dynamics analysis (CFD Analysis) to achieve efficient combustion. The engine speed calibrated to only 2300 rpm lowers the noises, vibrations, reduces fuel consumption and extends the life of the engine. High-performance hydrostatic drive, 2 mechanical gears and 2 hydraulic gears selectable while driving, infinitely variable speeds from 0 to 40 km/h in both directions, with multi-function joystick, “AUTOMOTIVE SYSTEM” for road use, with automatic adjustment of speed according to tractive effort and engine rpm. 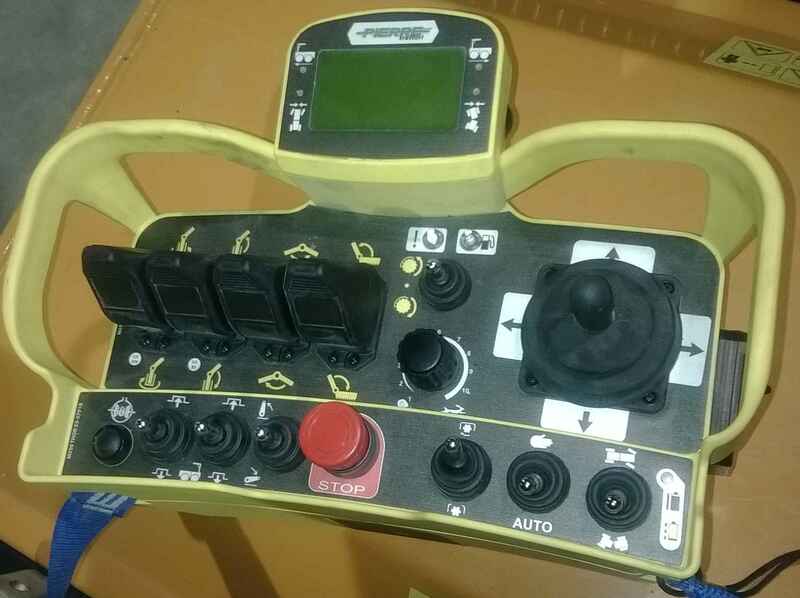 Optional - automatic control of the maximum speed set by the multi-function joystick. 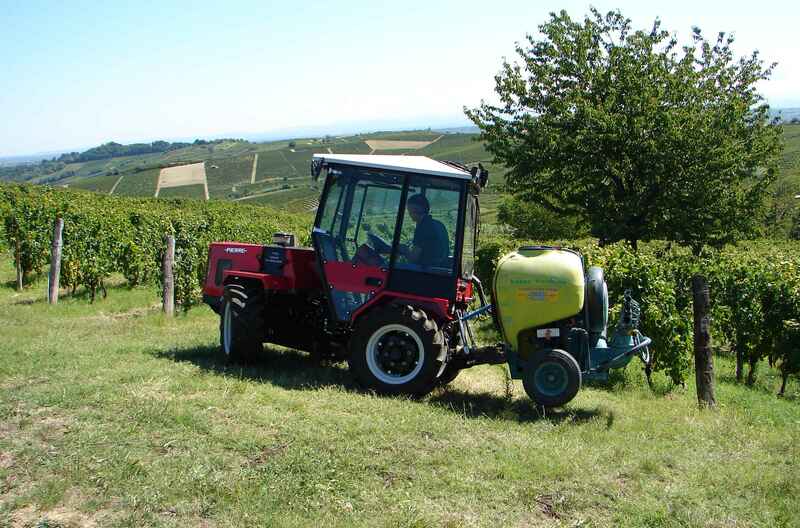 During manouvres, especially on steep slopes, to stop the tractor you do not need to use the clutch and the brakes, it is sufficient to move the multi-function joystick to the stop position, allowing the use of the vehicle with a safety and a speed impossible to achieve with tractors with traditional gearbox. The hydrostatic transmission has no clutch, resulting in substantial savings in maintenance costs. Oscillating ISF (integral steel frame), complete with mounts forthe rear, front and side equipments, unique on the market, made of high-strength steel to withstand higher loads,elastically absorbing stresses; the engine is suspended on silent-blocks, in order to reduce noises and vibrations transmitted to the frame. The frame is protected against corrosion by cataphoresis process and epoxy powder coating. • Permanent four wheels drive. • Reversing driver station suspended on silent-blocks, with simple and fast rotation. 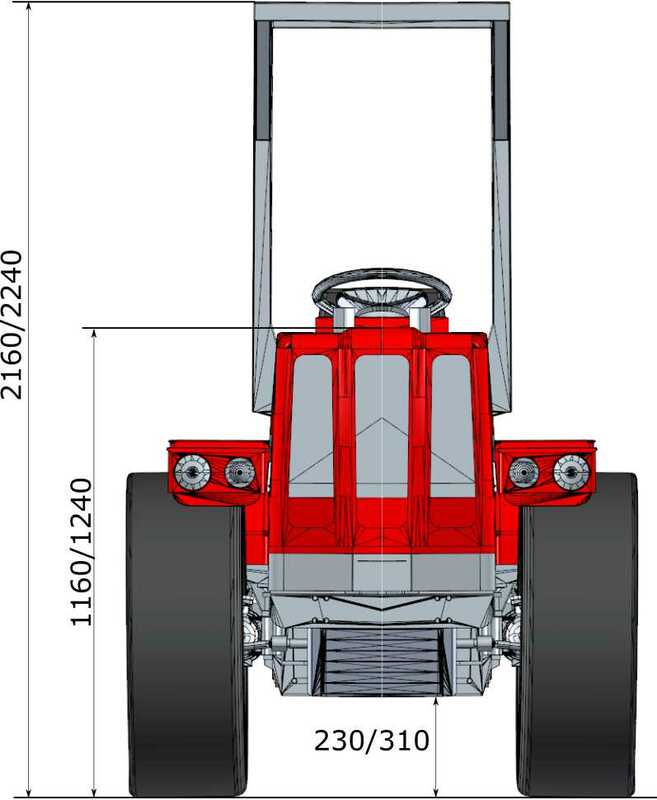 Our TWIN STEERING SYSTEM is unique on the market and gives you the advantages of 3 steering systems on one tractor. greater stability of the machine, lower sensitivity of the equipments' load to changes in the trajectory of the machine, less movement of the equipments while steering. 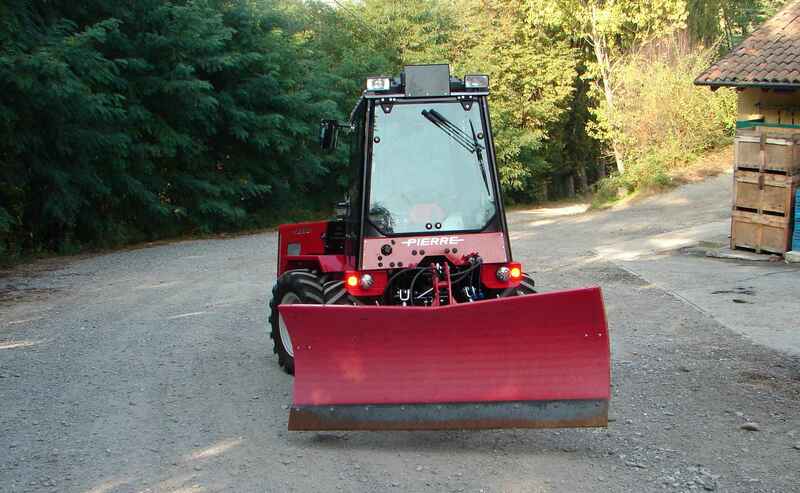 smaller turning radius, transit of the rear of the machine in the same trajectory of the front part (very useful when driving direction is reversed), lateral movement of the equipments while steering without having to actuate hydraulic movements of tools. significant reduction in turning radius, (up to 44% less) avoiding of slide down of the rear part of the machine during working in strong side slope. The two steering systems can be used either independently or simultaneously; independent use allows to make use of the advantages of one or other, while simultaneous use reduces the turning radius down to 2150 mm. Controls the sequential steering, first, for one of the 2 steering systems and subsequently for the other. The driver can give priority to front or central steering. Display - dashboard: displays all the tractor work parameters; 16.7 million colours; with sensor of ambient light to adjust automatically the display brightness. The supporting system featuring display fixed independently in the center of the steering wheel gives excellent visibility of all the parameters; The display features IP67 protection level; resistance to 5G shocks and vibrations and resistance to chemical products used in agriculture. The standard hydraulic system has a flow rate of 41 l/min with heat exchanger and Load Sensing valve for the power steering. 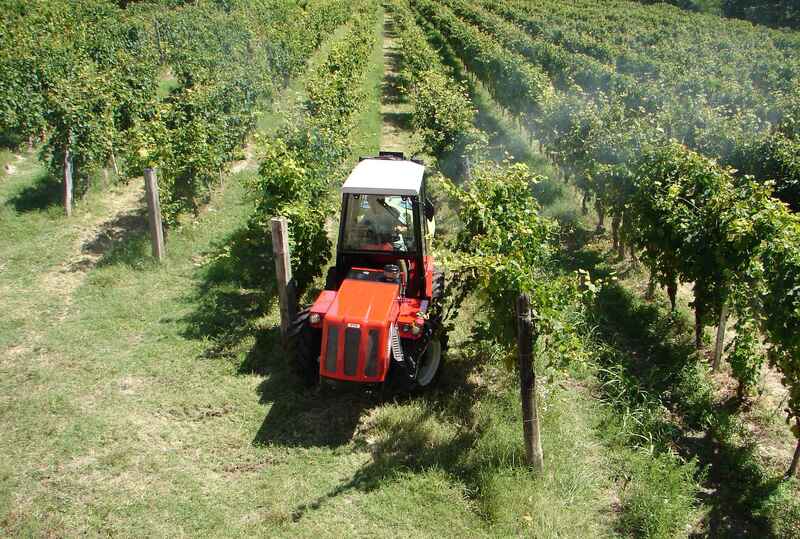 Optional – dual /double pump with heat exchanger with a flow rate of 25 l/min for power steering and hydraulic lift + 41 l/min 189 bar for the hydraulic distributors, up to 8 hydraulic setting controlled by multi-function joystick, which allow equipments that require high-capacity hydraulic supply, often used in vineyard cultivations. maximun speed limiter joystick all the way with constant speed.